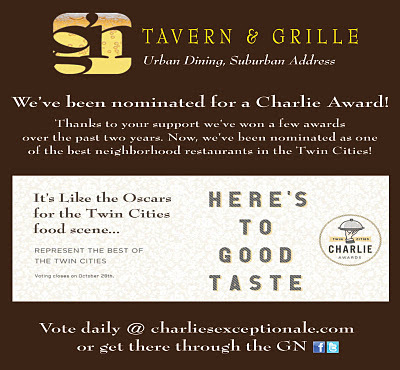 Gold Nugget Tavern & Grille: We've been nominated for a "Charlie Award"
Home of the best burgers in the Twin Cities! Featuring homemade comfort foods, a great craft beer selection, and 21 beers on tap. We've been nominated for a "Charlie Award"
Every week of the year our Chefs challenge themselves to make original burger creations just to blow your mind. 52 different burgers every year. Collect'em all!